Harley William Sellers, 74, passed away on March 24, 2018 in Rochester, MN. He was born December 9, 1943 in Red Oak, Iowa to Clyde and Lois (Woods) Sellers. "Harley Bill" was the 3rd of eight children. He graduated from the Iowa School for the Deaf in 1964 where he excelled in academics and athletics. Harley was a hard- working, fun-loving son, father and friend. He retired from the U.S. Postal Service after many years of dedicated service. Harley loved being with his family and watching the Oakland Raiders and the Nebraska Cornhuskers play football. He lived life to the fullest and was a blessing to all. Harley was preceded in death by his parents: Clyde Raymond Sellers, Sr. and Lois Lucille Woods Sellers. 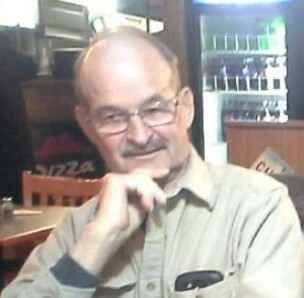 He is survived by his four children: Roger, Steven, Janel and Kevin; five grandchildren: Kayla, Gabrielle, Harley, Alauna and Jesse; and four great-grandchildren: Annleigh, Izabella, Emma and Chloe; seven brothers and sisters: Judy (Marvin) Maxell, Clyde (Nadine) Sellers, Tom (Sheila) Sellers, Jeanette (Raymond )Demanett , Terry (Mary) Sellers, Jeff (Betty)Sellers, and Art (Cindy) Sellers in addition to numerous nieces, nephews, cousins. Memorial services will be held Saturday, November 3, 2018 at 10:00 a.m. in the chapel at the Montgomery County History Center with Cindy Sellers officiating. Harley will be laid to rest at Red Oak's Evergreen Cemetery immediately following the service. Thanks to Ruth Hayworth and Elizabeth Simmons for the information.